Check out the 3D Imaging Video! Jewel of Venetian Golf & River Club! Luxury Country Club Resort Style living in this rarely available spacious FIVE BEDROOM, plus office, DiVinci model Executive Home! 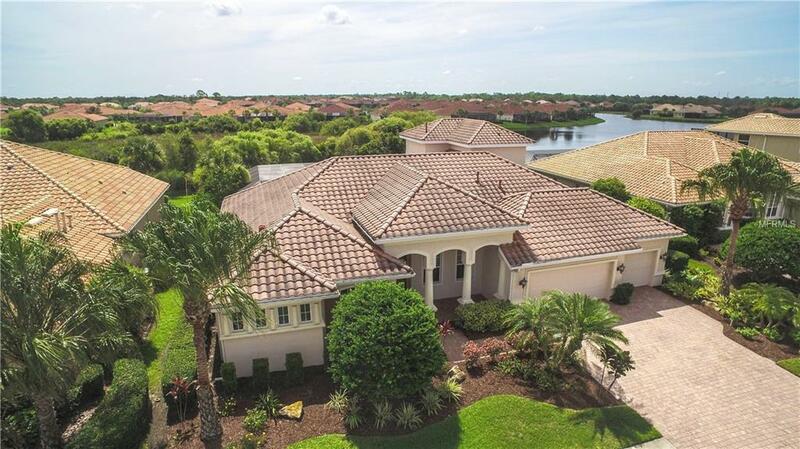 Spectacular large pool with spill-over spa, NEW pool heater, huge pool deck & covered lanai, outdoor summer kitchen, outdoor hot shower, all with terrific pond & preserve views! Gorgeous large kitchen has upgraded cherry wood cabinetry, center island, double ovens, aquarium window & a walk-in pantry. Luxury master suite has private sitting area opening to pool-lanai, large walk-ins & a huge shower! 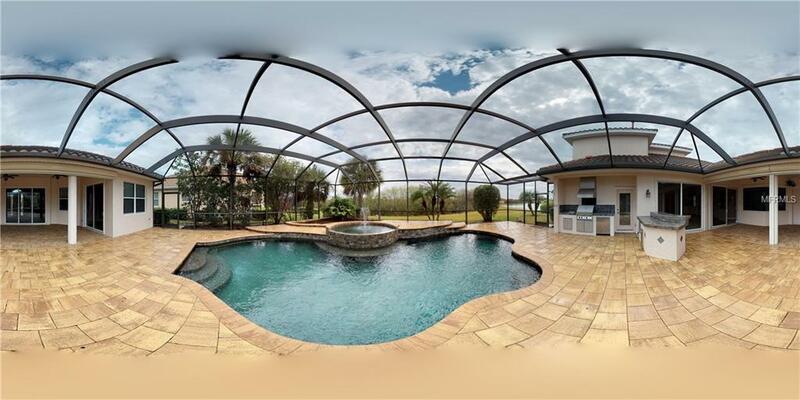 The large family room opens to the lanai and pool creating that Florida Family lifestyle! Four bedrooms & three bathrooms are located on the main first level & the fifth bedroom is the entire upstairs loft (20x15 open room) with full bath & walk-in closet. This room has fantastic lake & preserve views & also makes a great game room, teenager's living room, play room or art studio! 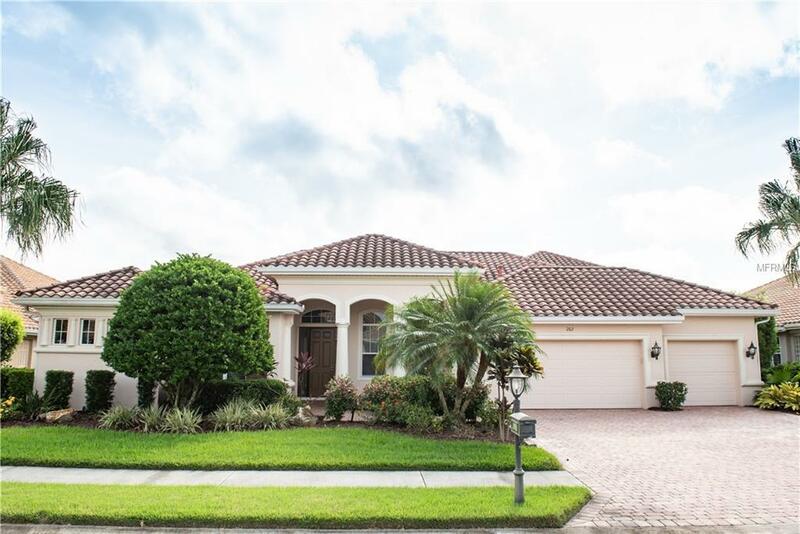 Great home for entertaining, a large family or grandparents with lots of grandchildren! Optional Golf Club Membership is available. The River Club offers a fine dining restaurant & bar, resort style heated pool with tiki bar, lap pool, full fitness center & exercise rooms, plus six har-tru tennis courts & tennis pro shop with teaching pro. Also the River Club provides access to the 70 acre nature park with walking trails to the Myakka River! Very easy access to I-75 as well as the Gulf Beaches & downtown Venice. Come live on vacation! Listing provided courtesy of Exit King Realty.